Human Rights Watch expressed concerns of an enforced disappearance of two Reuters journalists by Myanmar authorities. After more than a week, the authorities have refused the arrested Reuters journalists access to counsel and provided no information on their whereabouts, raising concerns of an enforced disappearance. 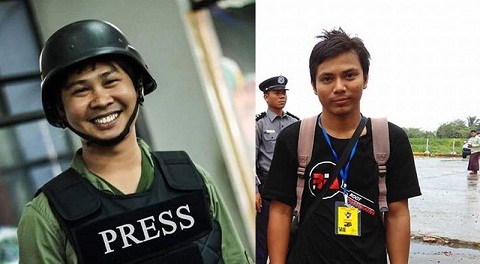 Burmese authorities should immediately release two Reuters journalists arrested in Rangoon for allegedly possessing leaked documents relating to police operations in Rakhine State, Human Rights Watch said on Wednesday. The imposition of criminal penalties for the receipt of information, without any requirement that the disclosure poses a real risk of harm, or any provision for protecting disclosures in the public interest, violates international standards for the protection of freedom of expression, Human Rights Watch said.